We’ve all had sleepless nights — lying in bed, staring at the ceiling, wondering why our brains keep chugging along even as the clock strikes four in the morning. The answer is probably different for everyone: too much caffeine, an onslaught of anxiety, bodily discomfort. But a fidgety night here and there is normal. However, over the past few decades, either our insomnia has increased dramatically or our tolerance for it has precipitously dropped — because we’re taking more sleeping pills than ever before. Between 2002 and 2008, there was a 70% increase in prescriptions from an industry that brings in over $2 billion a year. So what’s going on: Who isn’t sleeping well and who is turning to pills? As it turns out, the answer in both cases is more women than men. According to a nationwide survey administered between 2005 and 2010, five percent of women versus three percent of men reported using pills to assist them in sleeping. 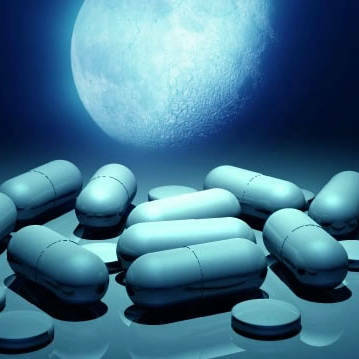 Several studies have demonstrated that women’s reliance on sleeping pills increases as they age. In a 2007 study by the National Sleep Foundation, over ten thousand women between 18 and 64 were polled on their sleeping habits. The findings state that women report more sleep problems as they get older and postmenopausal women (41%) were the most likely to utilize sleep aids multiple times a week. But why is it that women tend to use sleep medication more than men? At this point, all we have is speculation.